But you won't be able to go into a dealership. Tesla made big news this week when it announced the long-anticipated $35,000 Model 3. This being Tesla, the Model 3 announcement didn't come without some other paradigm-shifting news. The quality of Tesla's cars has almost become a side story as the American automaker has struggled to remain profitable. In a bid to lower costs and keep prices at a sustainable level, Tesla will shift worldwide sales to online only. This involves closing down showrooms and moving to an online-only sales model. Tesla says this move could save the company up to six percent in costs and these savings will be passed onto the customer with less expensive vehicle prices. The company's statement on the matter is quite bold. 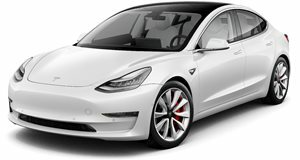 The press release reads: "You can now buy a Tesla in North America via your phone in about one minute and that capability will soon be extended worldwide. We are also making it much easier to try out and return a Tesla, so that a test drive prior to purchase isn’t needed. You can now return a car within seven days or 1,000 miles for a full refund. Quite literally, you could buy a Tesla, drive several hundred miles for a weekend road trip with friends and then return it for free. With the highest consumer satisfaction score of any car on the road, we are confident you will want to keep your Tesla." We can't wait to see all of the YouTube videos where people test Tesla's promise of a seven-day return policy while putting 999 miles before taking the car back. Tesla clearly has confidence in its products to offer this type of return policy but it is worth noting it requires a $1,000 deposit before you get to keep the car for 1,000 miles. It is unclear how many of Tesla's storefront locations will remain open so customers can go in to touch the product. We don't love the idea of buying a car without ever taking a test drive or seeing in person, so Tesla would be wise to leave open some of its delivery centers. Although you may not need to purchase a Tesla in person, the company is doubling down on its service system "with the goal of same-day, if not same-hour service, and with most service done by us coming to you, rather than you coming to us. Moreover, we guarantee service availability anywhere in any country in which we operate." This isn’t just a car, it’s a way of life.